The recent attempt to create a whites-only town in North Dakota is only the latest in a long history of intentional communities. An expert offers details in an interview. 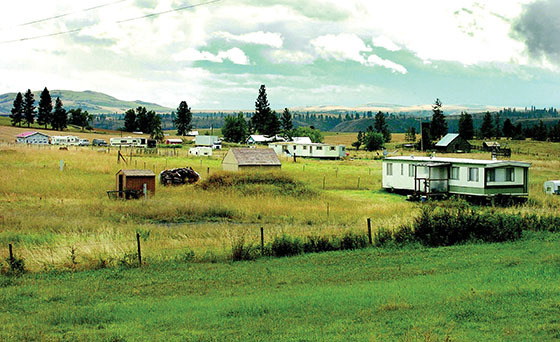 This June, a remarkable story broke about a longtime neo-Nazi named Craig Cobb who had stealthily bought up a dozen properties in the near-ghost town of Leith, N.D., in an effort to take over and create an all-white community (see story, p. 35). 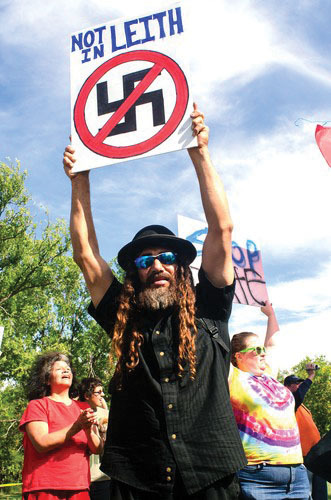 The news came as a shock to the residents of Leith — a total of 16 people, according to the last census — and sparked an immediate reaction, including a counter-protest of more than 400 people against Cobb and a small band of his neo-Nazi friends. The Leith story was unusual enough that it made the front page of The New York Times, but the attempt turns out to have been only the latest in a long series of efforts to create extremist communities, whether based on racism, survivalism, certain kinds of religiosity or other factors. This summer, Mark Pitcavage, the director of investigative research for the Jewish human rights group Anti-Defamation League, wrote a comprehensive report on such communities, “Home is Where the Bunker Is: Extremist, Survivalist, and Fringe Housing Developments.” The Intelligence Report interviewed Pitcavage, a longstanding expert on the American radical right, on the history of extremist intentional communities in the United States. We’ve just seen an attempt to create a white supremacist community within the tiny hamlet of Leith, N.D. But this is only the latest in a long history of similar attempts. What are the earliest precedents of this idea? America has a long tradition of fringe groups trying to form communities of like-minded people. Typically, they have one or more of several motivations: 1) a desire to live with people who think like themselves; 2) a desire to escape hostility and ostracism; or 3) a (typically religious) desire to await some future event, often apocalyptic, or a (more secular) wish to survive some future event, typically catastrophic. One can think of Puritans coming to America to escape hostility in Great Britain, or Mormons trekking to Utah to escape aggression from non-Mormons. Historically and up to the present day, most such attempts at intentional communities tend to be religious in nature. However, ideologically based planned communities also have a long history. The first noteworthy ones actually involved people leaving the United States: After the end of the Civil War, a fairly large number of disgruntled ex-Confederates, unwilling to live in a South free of slavery, emigrated to “colonies” abroad, primarily in Brazil and Mexico. 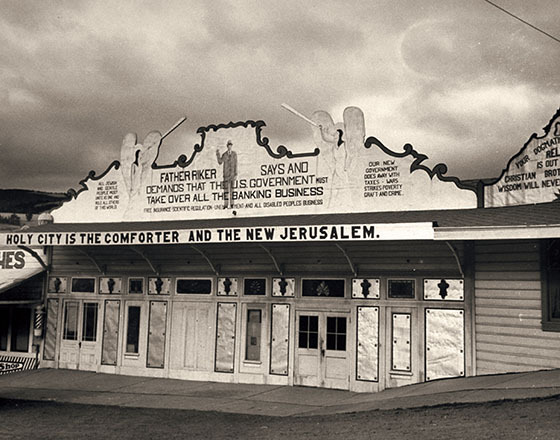 Within the United States, one of the early extremist planned communities was William E. Riker’s so-called “Holy City,” established in California near San Jose after World War I. It was actually a religiously based planned community, with very strong overtones of white supremacy (in fact, during World War II, the federal government charged Riker with sedition, though he was acquitted). Holy City lasted until the 1950s. What was the next stage in the history of these ideologically based fringe communities? Two major events occurred after World War II that largely shaped the most important strains of such communities since. The first event was the development of the Cold War, with its fears of nuclear war. This helped bring about the rise of survivalist-oriented communities, some of the earliest being as simple as housing developments with bomb shelters. 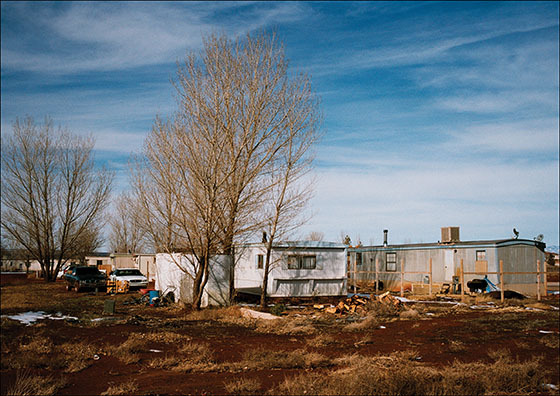 In ensuing decades, other waves of survivalist communities would follow. The second event was the success of the civil rights movement, which ended segregation in the United States and made clear once and for all that the nation was committed to the cause of racial and ethnic equality. The main losers in the struggle over civil rights, the hard-core white supremacists, were dismayed at having “lost” America. As a result, some white supremacists began to come up with various schemes for creating all-white or white-dominated societies or communities. One of the loosest but most enduring such notions was the concept of the Northwest Territorial Imperative (sometimes called the “White American Bastion”), an idea popularized by Aryan Nations founder Richard Butler in the 1970s and 1980s that white supremacists should move to the Pacific Northwest, as Butler himself had, and essentially take over that region of the country (the so-called “10% solution”), which was already predominantly white. These ideas appealed to a number of white supremacists, such as the young Robert Jay Mathews, who had moved to the Pacific Northwest himself and who tried to convince other people to do so, even advertising the notion in extremist publications. However, although a few white supremacists did move to the Pacific Northwest, it is a vast region and, even though it is sparsely populated, white supremacists collectively are a mere drop in the bucket of its population. So the Northwest Territorial Imperative in the end had no discernible effect. Leith is the latest manifestation of an attempt to create what white supremacists call “Pioneer Little Europes.” Can you explain the development of that idea and how it has played out recently? 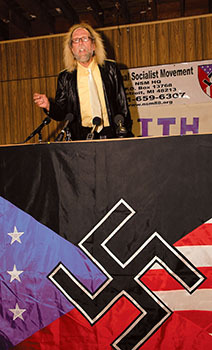 The Pioneer Little Europe (PLE) concept was developed primarily by Hamilton Michael Barrett and Mark Cotterill, two white supremacists with both British and American connections, in the late 1990s and early 2000s. Essentially, PLEs recognize that grandiose plans such as the Northwest Territorial Imperative are doomed to failure, because white supremacists exist in too few numbers. The PLE concept argues instead for white supremacists to gather in already existing communities and form communities within a community so that “racially conscious” whites can survive (Barrett once called them “arks of survival”). Non-whites would theoretically depart, leaving white supremacist enclaves whose members would aid and assist each other. 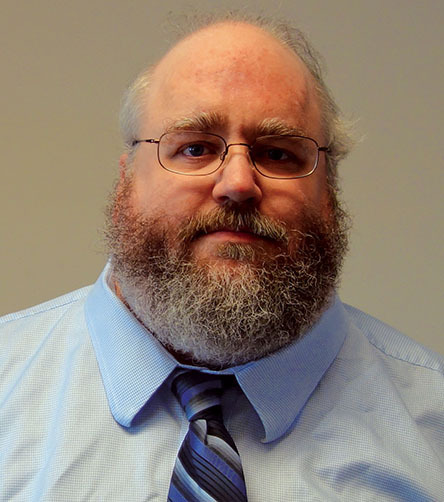 For many years, Barrett has enthusiastically promoted the PLE concept on the white supremacist website Stormfront, winning himself many fans but few people willing to actually form such communities. Over the years, different white supremacists have announced plans to form such communities in Georgia, Idaho, Oklahoma, and elsewhere, but none ever got off the ground. What other similar efforts have there been in recent years? There have been quite a few. Some are very small and informal, such as a white supremacist with property who offers part of it to other like-minded people. But some have been more ambitious and organized. One of the longest lasting is Elohim City, a community in a remote area of eastern Oklahoma that is associated with the racist and anti-Semitic religious sect Christian Identity. Its ability to survive can largely be attributed to the heavily religious nature of this particular group of people (more secular extremists have frequently visited the compound only to discover it was definitely not to their tastes). Another example was the so-called Confederate Colony, planned first for South Carolina then for Lawrenceburg, Tenn. It was started by two men, one associated with the neo-Confederate League of the South and the other with the white supremacist Council of Conservative Citizens. They wanted to create a gated community to “protect and further our cherished Southern Christian Culture.” However, only a handful of families ever actually joined this planned community and it died after a few years. Another white supremacist enterprise, the so-called Church of New Saxon, was started by white supremacist Todd Findley of Bunnell, Fla. Here, too, the concept was a gated community, this time for “European-Americans.” But Findley’s scheme collapsed due to fraud and he eventually ended up pleading guilty to several counts of grand theft for accepting people’s money without building houses for them. Several of the projects you just mentioned could also be described as an attempt to create a closed community of religious extremists. Are there other recent examples? Fringe religious groups continue to be a major source of such intentional communities. Most are essentially benign, but some are problematic or have had connections to ideological extremists. 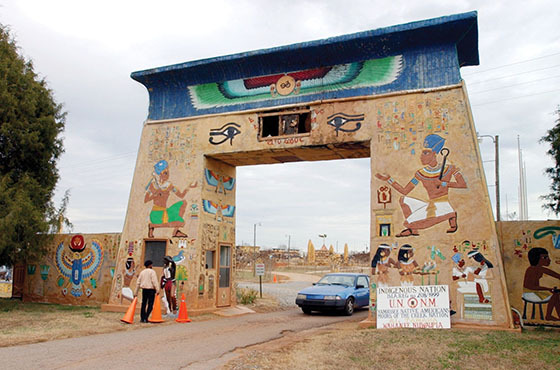 For example, the Nuwaubian Nation of Moors, a syncretic religious sect that combines beliefs from a number of different sources, has had a base in Putnam County, Ga., for about 20 years (including, for some time, a compound, although that was eventually destroyed). The group dates back to the 1970s but since the 1990s has become increasingly involved with the antigovernment “sovereign citizen” movement. Another example with an even longer history is the Fundamentalist Church of Latter-Day Saints (FLDS), a polygamist Mormon offshoot. Ostracized by Mormons and non-Mormons alike because of their views on polygamy and other issues, FLDS members established their own communities in Utah, Texas, British Columbia [Canada], and elsewhere. Though very different in many respects, both of these religious communities have very controlling leaders who have ended up in trouble with the law and consequently removed from their followers. Nuwaubian founder Dwight York received a 135-year sentence in 2004 for transporting minors across state lines while sexually molesting them, as well as for racketeering and other charges. FLDS leader Warren Jeffs was convicted in 2011 of two counts of child sexual assault and sentenced to life in prison plus 20 years. Another type of intentional community could generally be described as antigovernment or survivalist. What are some examples of that? Right-wing antigovernment/survivalist intentional communities by now have a long history in the United States. They tend to form during times of right-wing resurgency or popular scares about some impending colossal collapse of society. So one of the first waves occurred in the early 1980s, when we had the combined factors of a resurgence of right-wing extremism, an economic crisis, and a fear of a coming “World War III” with the Communist bloc, a fear that helped form the survivalist movement. We had another wave in the mid- to late-1990s, accompanying a second surge of right-wing extremism combined with, at the end of the decade, a fear of societal collapse because of the “Y2K” computer bug that caused a new wave of survivalism. Several times in 1999, in fact, I was contacted by people from places such as New York and Chicago, who wanted advice about moving to remote areas such as Montana in order to survive the impending collapse of society they anticipated because of Y2K. One of the more interesting Y2K-related intentional communities was Rivendell, created in Virginia by a group of dominionist Christian conservatives who wanted to survive Y2K and create a dominionist society afterwards. Rivendell survived Y2K, as we all did, but it soon fell apart due to infighting. The most successful community from the 1990s pre-dated the Y2K panic. This was Almost Heaven, a right-wing housing development created by Bo Gritz, Jack McLamb, and Jerry Gillespie near Kamiah, Idaho, in 1994. Several hundred people ended up buying lots and many still live there, though Almost Heaven as a formal or organized community no longer exists. Idaho is also the planned home of the most ambitious current attempt to build such a planned community, dubbed The Citadel. Ostensibly, The Citadel will be several times the size of Almost Heaven, but walled and fortified. Every adult resident will be required to own an assault rifle, while “Marxists, Liberals and Establishment Republicans” are not welcome. But the odds of it actually getting off the ground are low. Do these kinds of communities present special dangers, either of violence or in other ways? Should we be concerned? Communities like these warrant moderate concern. Extremists based in such communities have, from time to time, come out to commit criminal acts. For example, several residents of Almost Heaven ended up being convicted for crimes such as constructing pipe bombs and plotting to blow up a propane tank farm. A few such communities, especially tightly controlled religious ones, may also pose a danger to some of their own residents. But many of these planned communities never even successfully form in the first place and most of the ones that do form do not last long. Overall, they have an abysmal track record. Why do these groups have so little success? Is there any chance, in your opinion, of the Leith project coming to anything? Planned communities fail for lots of reasons. The main reason attempts even to form them fail is because it is hard to convince someone to pack up their families and belongings and move to a remote area far away with few prospects. Even if the spirit is willing, the flesh will often be weak. Far more people vocalize support for such communities than ever participate in them. The religiously oriented communities have a better record in this regard, especially if their worldview is rather apocalyptic or if they have a very charismatic leader. However, even if such a community forms, it is very vulnerable. It is vulnerable to infighting, to defections, to untenable geographic locations, as well as to outside pressures and stresses (think of Jonestown as the ultimate example of a planned community catastrophically imploding as a result of all of these factors). And those communities that form for apocalyptic or survivalist reasons may lose heart if their expected events do not occur. Cobb has been at his pet project for well over a year now and has no success he can boast of, despite having practically given away properties to several prominent extremists in an attempt to exploit their names in his marketing of the concept to other extremists. The best thing that could have ever happened to him was that The New York Times decided to write an article about him, which gave him loads of free publicity. Yet even despite this, it is still hard to imagine Cobb achieving even modest success in this racist endeavor.